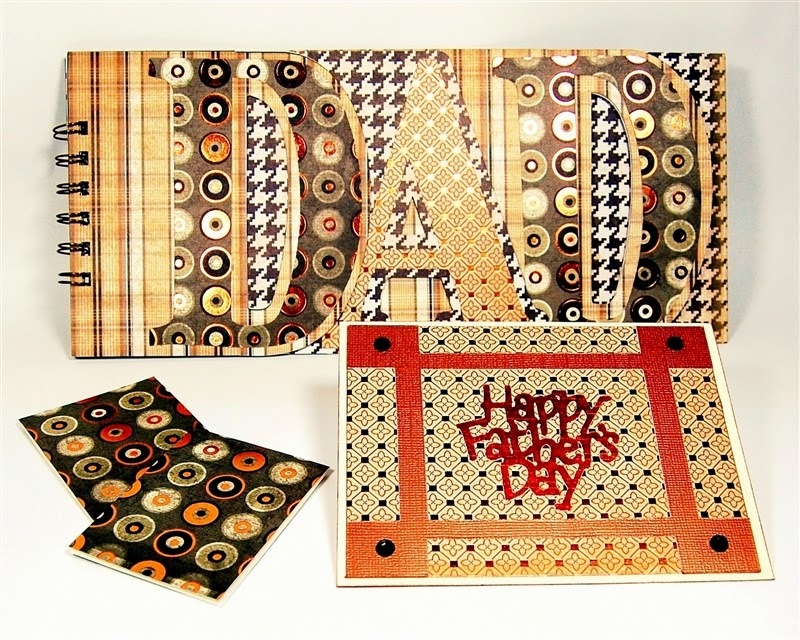 Capadia Designs: Happy Father's Day! 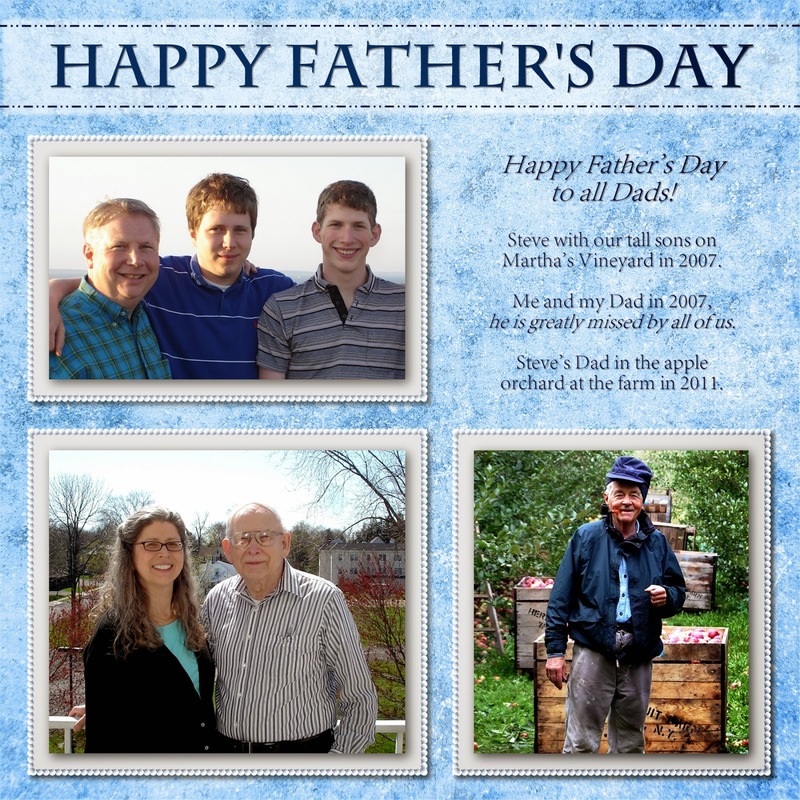 I found a few favorite photos and put together a quick digital page to celebrate three fathers - my husband, my Dad and my father-in-law. This is the second year without my Dad and we miss him a lot. We were able to see my father-in-law last night and our younger son will be visiting today. I hope that you are able to celebrate this special day with family. 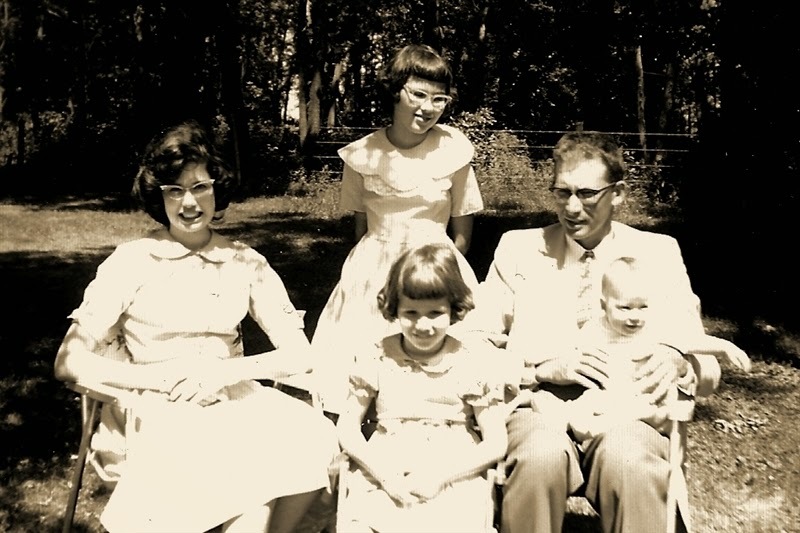 While I was looking at photos, I came across this one from 1961 of my Dad and all four kids - three girls and a boy. I am in the center front. There are not a lot of photos from my childhood so I enjoy looking at the few that we do have. So many photos are taken now that I think they have less impact and value individually (but that is a topic for another day!). I also came across this project from 2010. Word books were very popular at the time and I designed this "DAD" book for Father's Day. I used the original Cricut Design Studio program to make the book (you can see the full post HERE). A few people have asked me about these books recently. Please leave a comment if you'd like me to do a tutorial on how to make them in the newer software programs. Welcome to any new visitors who may have arrived at my blog today. If you'd like to keep up with my posts be sure to subscribe to receive them by email. I also will send special updates and subscriber gifts from time to time. Enjoy the holiday and have a great Sunday! I would like a tutorial on making word books. I still have a few left in my stash I would like to use up and really do not want to cut the pages by hand. I am not very experienced with the design studio. I am using a Cricut expression. Thank you. Thanks for letting me know. I will put some tutorials together and share them soon. I'll do the first one for the Expression and Cricut Craftroom since that is what you are using. It is so much easier to use a cutting file - it takes a long time to cut these by hand and once you design a file you can cut it over and over. Thanks for letting me know. I'll put together some tutorials and post them soon.. I'll do the first one for the Cricut Craftroom since you are using an Expression. It is so much faster than cutting these books by hand. Once you design the file you can use it over and over again.